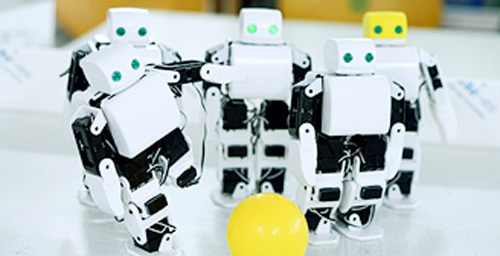 From Your First Robot Experience to Full-scale Programming! 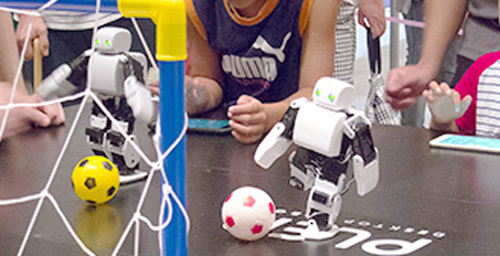 At PLEN PROJECT, we provide a wide range of programs using the small humanoid, “PLEN” for educational facilities. There are various courses that you can attend based on age and/or abilities. 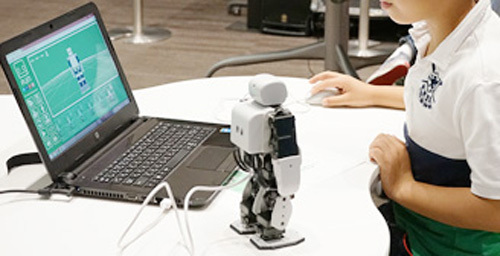 It is possible to set the time period and difficulty level for any experience level to work with robots, from first contact, to assembly, and even programming. 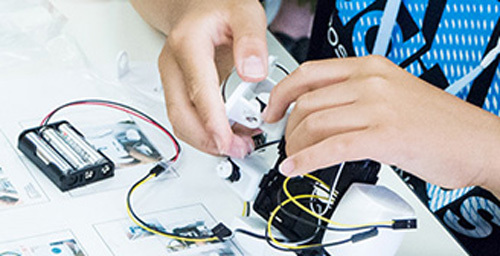 Some programs for beginners who can experience robots include: using a smartphone or tablet applications, programming exercises using open source, producing robot parts using a 3D printer, and assembling your robot from scratch. There is no need to introduce new or large-scale. We can create and tailor programs to various subjects and requirements. Easy operation using applications for smartphones or tablets is possible. We create learning through direct contact and playing with PLEN. Experience the assembly of PLEN. 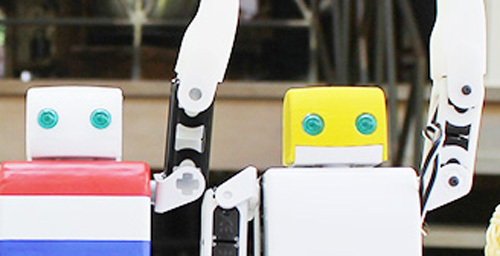 By assembling from PLEN’s component parts, we will nurture affection for robots and interest in various fields of manufacturing. Experience programming through creating a series of motions from a combination of 60 kinds of movements with PLEN’s own educational visual programming tool. Learn real-life applicable coding. PLEN operates in “Arduino” based language, compatible with the world’s most widely used programming language “C / C ++”. Learn a world-wide-used language through PLEN. Modify the published 3D data to customize your own PLEN shape. In addition learn about design and make accessories using simple materials. Learn not only PLEN’s control but also intuitive programming. Even without knowing the details of the programming language, you can freely program PLEN’s motion by readjusting the application icons. Connect PLEN to a computer and create and operate basic settings and actions. You can create various poses by moving each movable part of PLEN, and create a series of actions, such as walking or running. You can also incorporate the built-in motion to move PLEN.